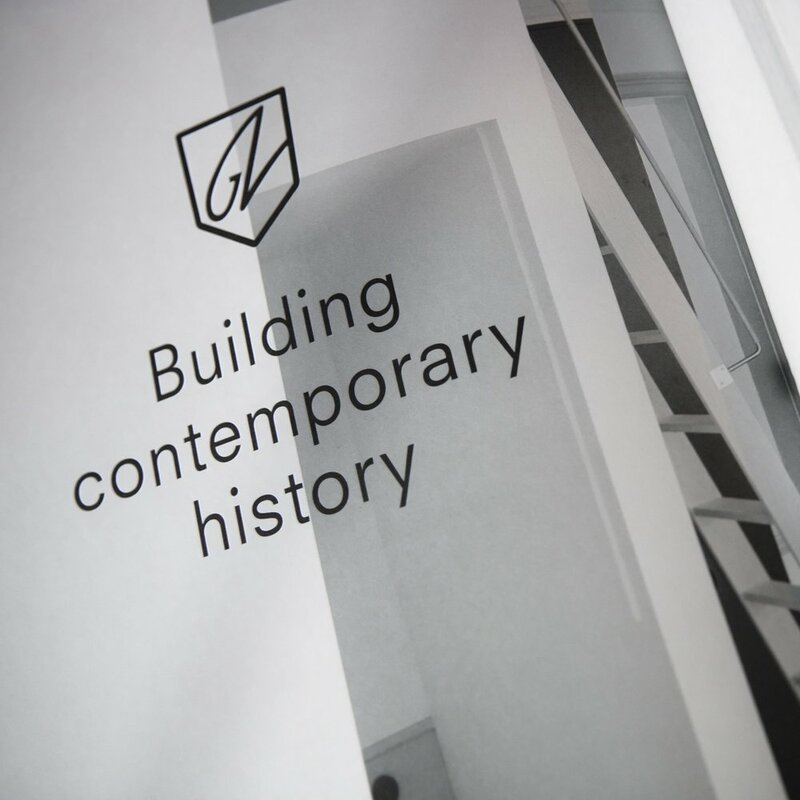 Its core values helps us utilize Glommen & Lindberg's amazing collaborations with architects & designers, and innovate new ways of doing property branding for each project, always learning and evolving. 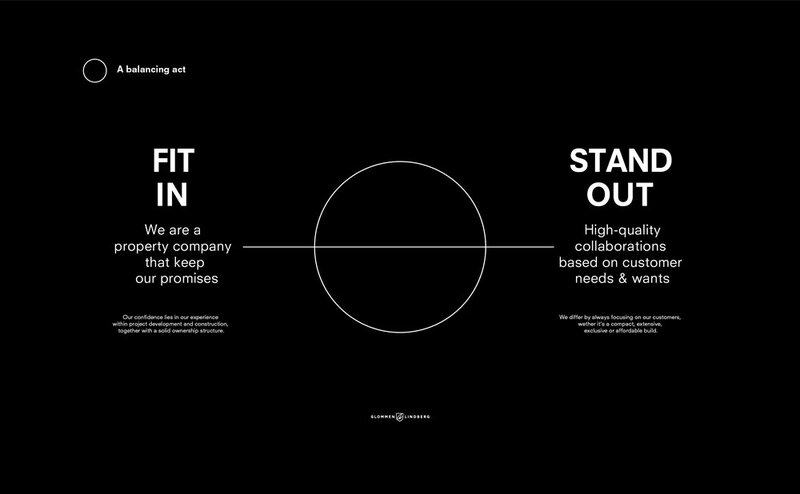 Working closely with the client, we puzzled together the story of the brand and its properties; developing an unique approach and processes for how to sculpt & create. We then packaged it into property branding that targets the right buyers via the most relevant tools of communication. "Partnerships with renowned architects, designers and interior architects are an important component of securing quality"
says Rolf Alexander, Marketing Manager at Glommen & Lindberg. The developer becoming so involved in the design and interior process is entirely in line with the target groups expectations and personal expression. Our home tells a story about who we are and the increasing interest in interior design and how we brand the project speaks to the fact that a beautiful home really raises the quality of life, and becomes a unique option in the market. 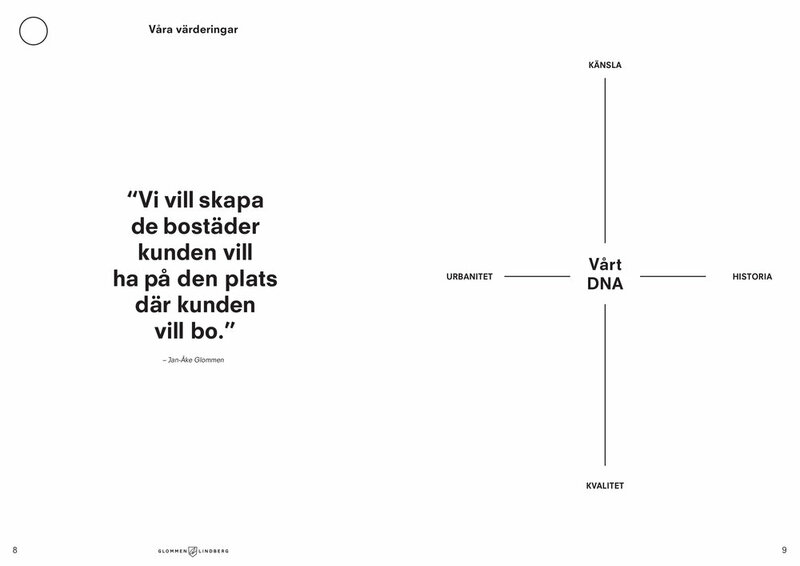 Excerpts from the Glommen & Lindberg brand platform showing the simple DNA of the brand. The four values; Emotion, Urban, Quality and History work together as a compass for all internal and external activities. 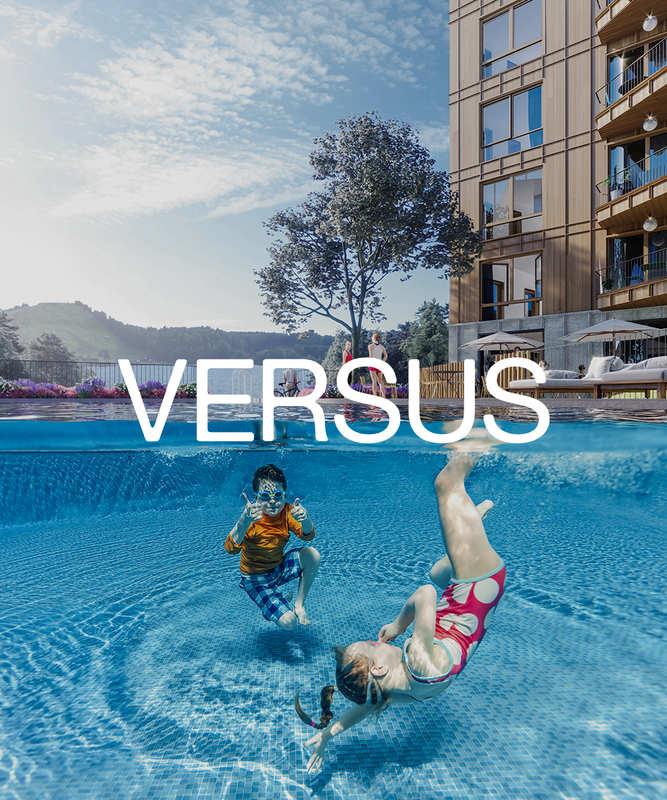 Versus isn't about choosing between a relaxed or sporty lifestyle, its about having the choice between both. A resort-style development with outdoor pool centered between the three buildings. 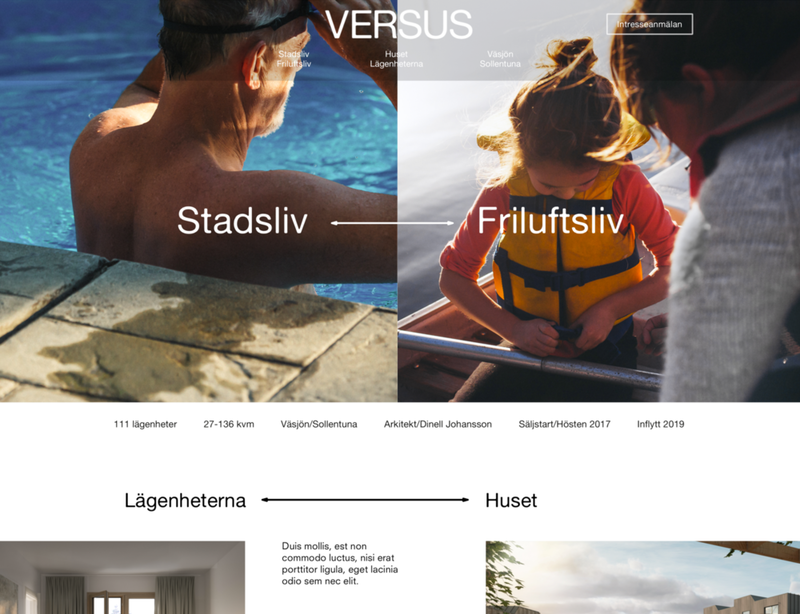 Drawn up by architects DinellJohansson, the project has one of the best slots in Väsjön with lots of balconies and patios, a frontside view of the lake and a nearby ski area. The surrounding area is mainly outdoor driven, with ski-hill, tracks and lakes for swimming close-by. 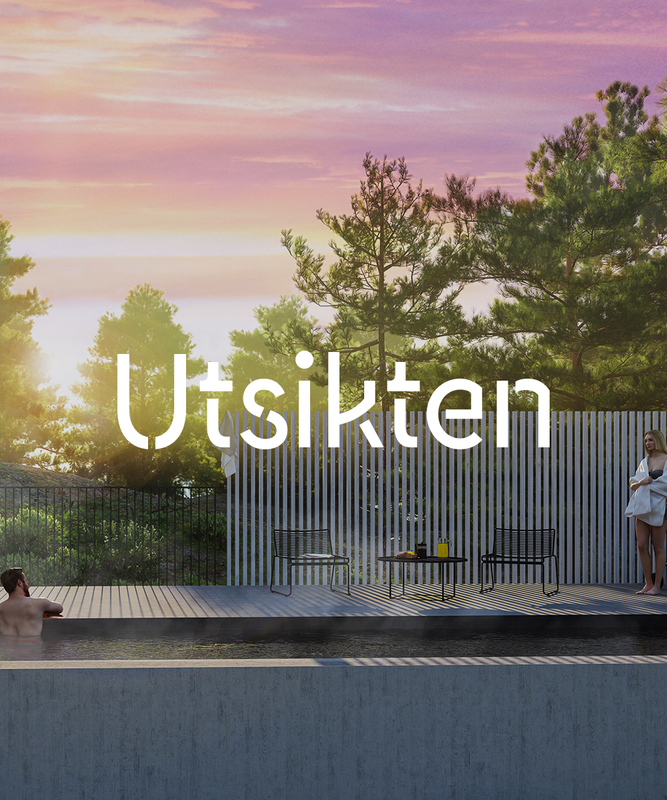 Utsikten are apartments with great expectations. Welcome in, welcome home and welcome to Nynäshamn. A dwelling with access to its own pool, gym, cineroom and cultural facilities. Architects Nilsson Rahm have re-shaped the old conference facility to effective apartments with lofts and patios. Sold out in 2017. Second building 2017. 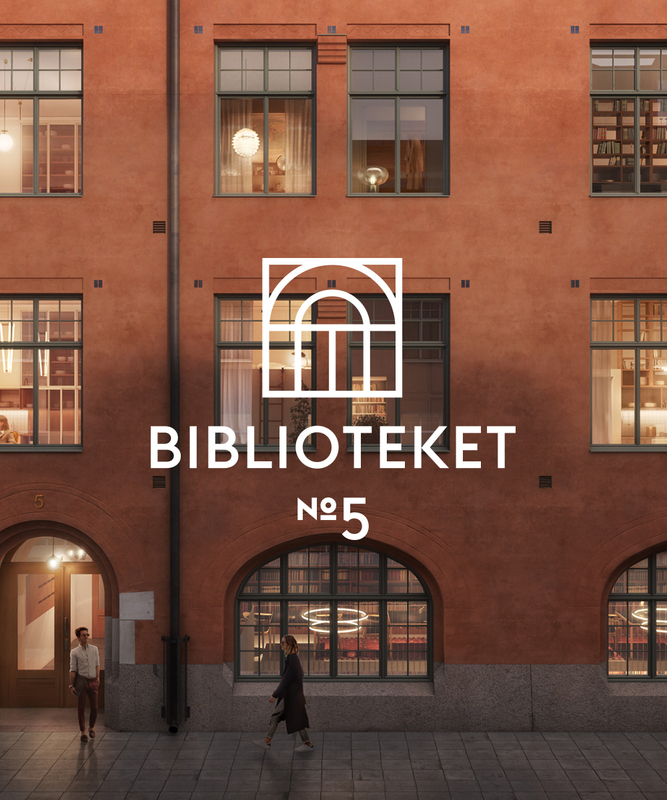 Biblioteket no.5 is timeless tradition & confident collaboration. A re-building co-lab between architects Jägnefält Milton and reknown designer Mats Theselius. 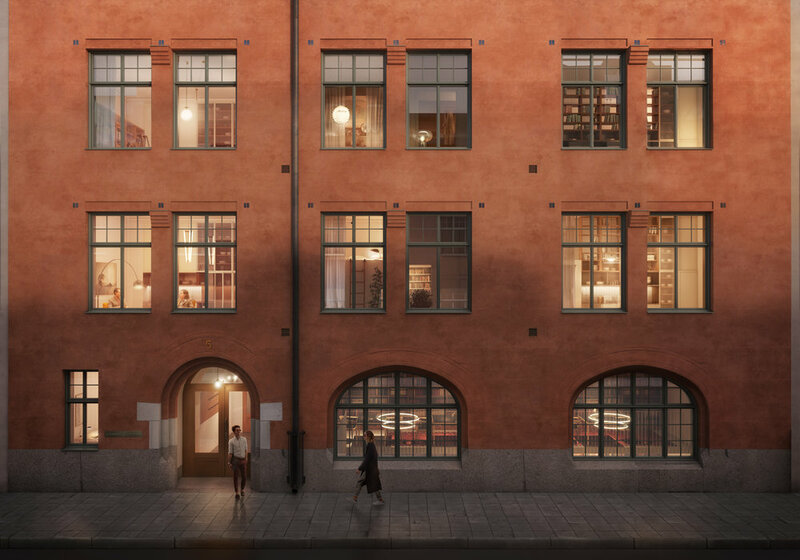 The former school in Östermalm, Stockholm gives the apartments fantastic building features such as ceiling height and light emissivity. Sold out and finished in 2017. The design and architecture makes Mono reflect the true rythm of Stockholm's Söder. 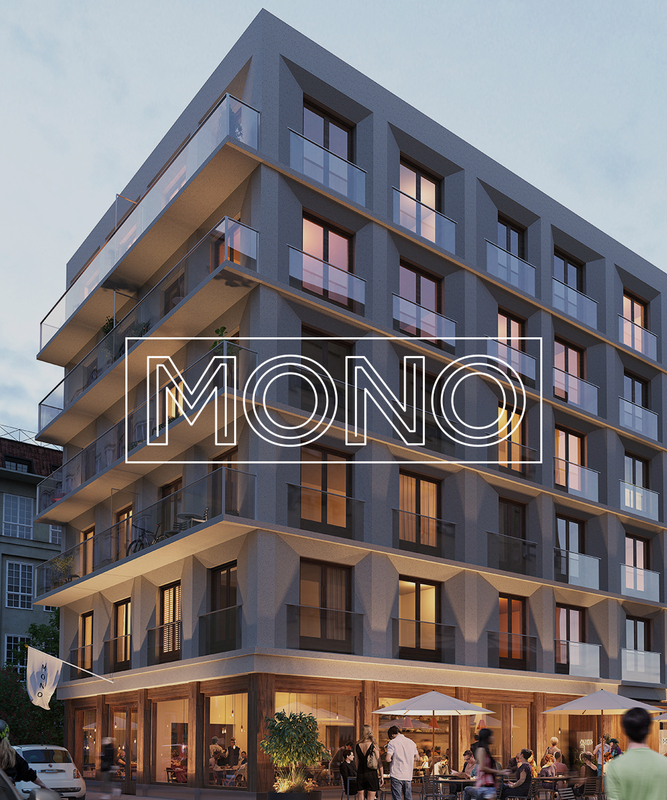 Being the result of a collaboration between Note Design Studio and Koncept Stockholm, as well as one of the few new constructions in Södermalm, gives Mono a character that boths stands out and melts in. The unique approach to design and built-in functionality makes it a gem. Sold out in 2016 and finished in 2018. 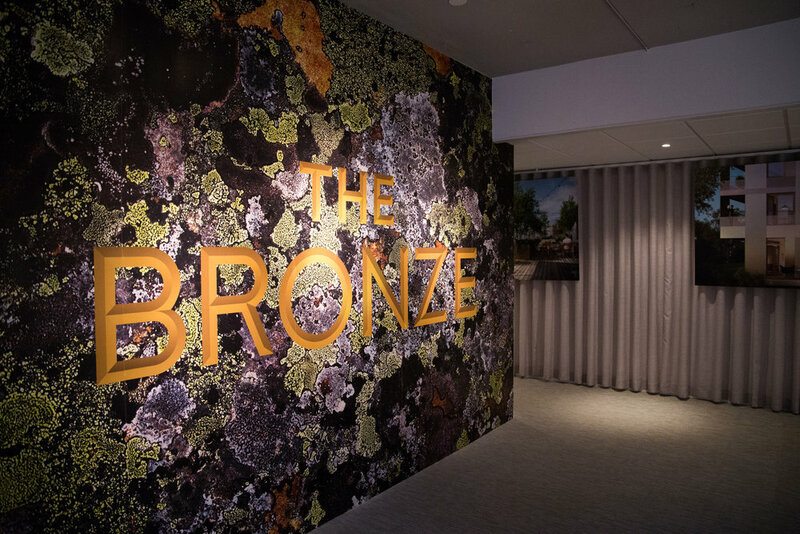 The Bronze offers international living for those who want to join and create a new neighbourhood from scratch. A residence with international standards breaking new ground in Stockholm. 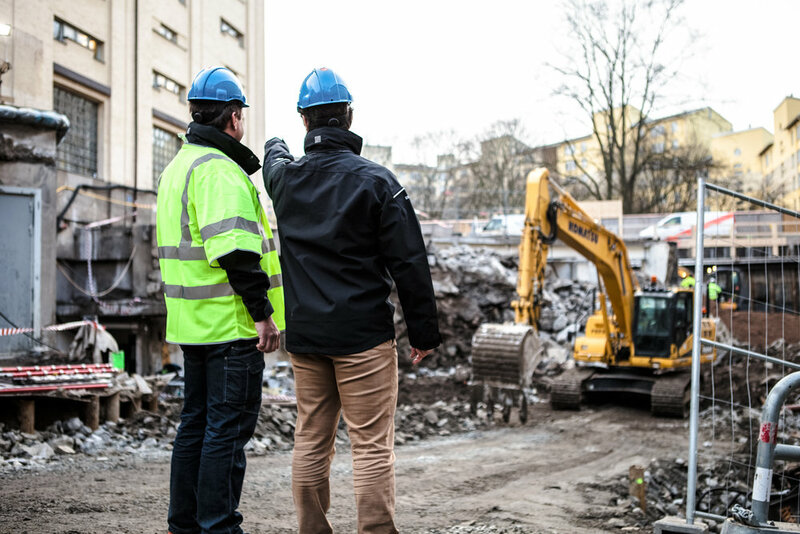 The Bronze in Bromma is designed by KOD architects and the 125 apartments will be completed in spring 2017. Sold out in 2016. 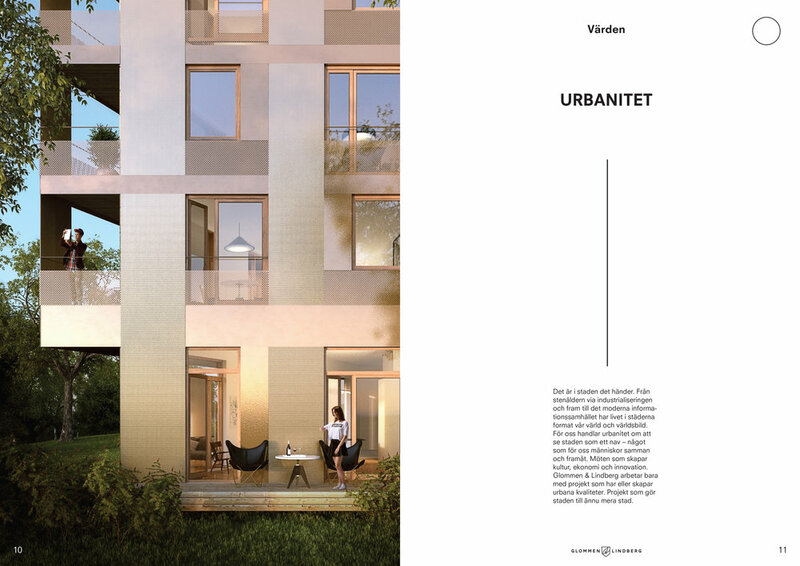 V28 is a ground-up development in Häggvik, Stockholm and an important part of Sollentuna's future development. An urban oasis leading the way for creativity. A whole quarter that integrates urban qualities with room for personal creation. The house is designed by SR-K Architects. Sold out in 2016, finished in 2017.